I highly recommend Heather and her team. On several occasions, she went above and beyond and exceeded my expectations. Because of her efforts, we were able to move my closing date up a week! Her knowledge and experience in the industry made the closing process smooth for everyone involved. The last thing any buyer needs is added stress during the buying process, and Heather makes certain that you have none! Being a first time home buyer, I had very minimal knowledge of what the process would entail. Heather was extremely knowledgeable and was able to almost instantaneously answer any questions I had with confidence and certainty. I attempted to work with a real estate agent prior to Heather and I can most definitely say that Heather goes above and beyond to meet her client's needs and to ensure she makes the process as easy and enjoyable for her client as she possibly can. I would highly recommend Heather and her team to anyone looking to buy or sell a home. Heather is great at what she does! She was super helpful and actually listened to what we wanted and found us the perfect house! Super flexible too when it came to finding times for showings. Highly recommend Heather to anyone looking for a home. Heather is amazing. She worked so hard help us find our first home. She is very knowledgeable and helped us every step of the way. If we ever need to move again we will definitely be reaching out for help in the future. My experience buying a home with Heather could not have been better! From the moment we began our journey together for my home search, Heather made me feel very comfortable. She is extremely attentive and professional, and her knowledge of the industry (including inspection and financing) is top notch! I would HIGHLY recommend her to anyone looking to buy or sell their home. Her wealth of knowledge and expertise in real estate is not easily matched. Kudos! Let me tell you, Heather has been the most professional and helpful agent I could've ever hoped for! She was dedicated to helping us in every way possible she could. She listened to our wants and needs throughout the entire process, paid attention to every bit of detail and knew precisely what we were looking. I have several family members and friends who have been lucky enough to have her as their agent as well during their purchasing/selling experiences and I have heard nothing but the most positive and amazing things about her team! I never could have asked for a smoother house purchasing experience in my entire life and she found us the house we dreamed of. Thank you so much to Heather and the Kaczorowski Team for assisting my husband and I in our journey of purchasing such an amazing home! We could not have asked for a better experience than we got with Heather from initial contact through walking into our new house! She got us our new home as well as quickly selling our old house in order to get the home of our dreams! She was professional,friendly, hard working and available. If I could give more stars I would!! Highly recommended! If you are looking to buy or sell a home, you can not find a better relator than Heather Kaczorowski. Heather's knowledge, insight and personality is unmatched. For being a first time home buyer heather was with us every step of the way and went above and beyond. The dedication Heather has to her clients and her business is phenomenal. Heather listened to our needs, understood what we were looking for and helped us every step of the way. We can not recommend Heather enough! Heather and her team were wonderful to work with as I was searching to buy my first home. I enjoyed working with Heather very much throughout the entire process. Heather is extremely knowledgeable in her field and was willing to go above and beyond to ensure that I found the perfect house. Heather was our selling agent for our house in Crafton and we received a strong offer five days after listing. I had all the faith in the world in her that she would sell our house, but I was stunned when it only took her five days!Heather is a pleasure to work with. She responds promptly to texts and emails for any questions you may have. Heather uses impressive marketing strategies that include social media and professional photos of your property. 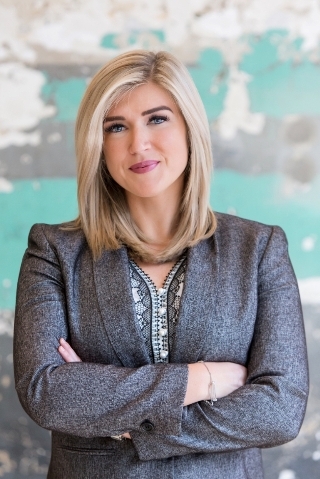 She knows Pittsburgh and it's surrounding areas and does her research to make sure that she can get you the best possible selling price on your property.Heather loves what she does and it shows. She genuinely cares about you and your family's well being. Heather knows that home buying/selling can be stressful and she does everything she can to make the process as least stressful as possible. If you are buying/selling your home, I highly recommend Heather and her team. This was my first experience purchasing a house and would not have done it any other way. Heather and her team did absolutely amazing and helped me throughout the whole process. She was very patient and never gave up on helping me find the house I wanted. The effort and love she has for her job is truly astonishing. I can’t wait for the next opportunity to work with her again. Thank you so much Heather!!! I would not hesitate to recommend Heather Kaczorowski for your real estate buying or selling needs. Her combination of knowledge of the market and negotiating skills enabled us to sell our house and buy a new place within 30 days. Being unfamiliar with the industry, Heather explained every detail to us. She was honest and trust worthy about our options. She worked diligently including weekends and holidays to make this happen for us. The sale was an emotional one too; selling my childhood home. Heather demonstrated balance between understanding my emotions and making sure the business details were attended to. Her professionalism was unwavering. If you are buying or selling real estate, call Heather now! Heather is an extraordinary professional who started with us as our real estate agent and ended as our friend. Her dedication, availability, and knowledge of the Pittsburgh market allowed us to negotiate a deal on our new home in a somewhat less traditional fashion, which then meant that we had to sell our former home FAST! Like a well-oiled machine, our home was quickly listed; and, in less than 48 hours, it was UNDER CONTRACT with three offers to choose from. We believe Heather’s knowledge on how to price our home just right lead to our over-asking-price offer. She was then integral in the success of our remaining transactions. We highly recommend! Heather was a fantastic sellers agent and I would absolutely recommend! Clearly she knew our market inside and out when we got full asking price for our house in less than a week! She knew exactly what made our street more or less desirable than the one across the road, had plenty of experience with the neighborhood, and found the exact right price point to sell. Heather really did her homework before coming to speak with us about using her as a listing agent and had great recommendations on how to make small improvements to ensure a quick sell. She was proactive in identifying hazards that would need corrected to get the home past an FHA inspection and helped ensure any necessary repairs were taken care of. When it came to responsiveness, Heather always had an answer to our questions, was willing to provide honest feedback, or was willing to track down the answers that we needed. I would absolutely use Heather to sell my house again if I ever thought about selling (though for my sake I'm hoping I never have to). Heather was an absolute pleasure to work with! She made sure that my house hunting and buying experience was enjoyable, and she made it as stress free as possible for me as a first time buyer. Heather was extremely patient with my many questions, and was honest in her answers. She also truly listened to my likes and dislikes of each home until we found the perfect fit. I have already recommended Heather to multiple perspective buyers and sellers, and will continue to do so! My wife and I were first time home buyers, and Heather was an absolute pleasure to work with. We highly recommend Heather to anyone looking for a realtor based on her professionalism, drive, commitment, and caring.Heather met us “where we were” both literally and figuratively. While working with us, Heather was very patient with our questions, and thoughtful in her explanation of the home buying process, and because we were moving from the north to the west of Pittsburgh, Heather would often drive out to meet us instead of having us drive out to her office.Pittsburgh is a hot market, and Heather was very helpful in preparing us for meeting the demands of the environment. When my wife and I found a house that we were interested in, Heather worked very quickly and matched our urgency in submitting an offer. From pulling disclosures to the offer paperwork, Heather walked us through every step of the process and made sure we understood what we were committing to. Thanks to Heather’s help, my wife and I found a house faster than we ever would’ve expected.Once the offer was accepted, Heather’s experience and commitment to her clients was very apparent and very much appreciated. Our busy schedules limited our ability to meet & schedule contractors/inspectors, and Heather would often go above and beyond to help my wife and me. It was very clear throughout the entire buying process that Heather absolutely loves what she does, and she cared enough to learn about who we were, and what we wanted. A realtor is someone who you should be able to trust, and engage with both personally and professionally. We were fortunate enough to find all of those things in Heather. Heather was/is tremendous. And she may be one of the nicest people I've ever met. I'm a first time home buyer and she has been there for me night and day. And she knows Pittsburgh and real estate! Heather guided me through the whole process, and I felt extremely supported as a first-time home buyer. I would absolutely recommend her. She was in my corner the entire time. Heather is a true professional. I worked with her directly this past fall 2016, when she not only helped my niece and her family find their dream home, she also had their current home under contract and above list price in the blink of an eye. I've been in the real estate and mortgage business for nearly 20 years, I have worked hand in hand with many professionals and I can assure you Heather is one of the best. Give her a call today. You will not be disappointed. Heather was patient and knowledgable throughout the entire process. She knew how to explain things to me in an easy to understand way and was very communicative through every step from searching for a house to closing. What can I say, Heather not only had a prospective buyer for my house the very first day it was listed, she had us under contract within a weeks’ time from listing. This was key, as we had to sell the house we were living in to purchase the new house (which I might add, Heather helped us find). Heather had sound, reliable personal in every field of the home-buying/selling-process, from Mortgage Broker all the way thru to the unexpected, like pest-control.Heather not only excels at her job, you can really tell, she loves what she does, she thrives on it?I would suggest Heather to anyone “Selling” or “Buying” a home!She has what it take to get your house sold or get you into your new dream-home! As a first time home buyer, it was very important for me to find an agent that was knowledgeable. Heather Kaczorowski exceeded my expectations in every way! It isn't just about closing a deal for her. It was very clear from the beginning how much she values her clients, and wants to make sure they find the home best for them. She is a great advisor and showed extreme patience. She took the time to explain each step in detail, to ensure that I understood the process. My budget was tight, but I felt she fought as hard for me as she would for a million dollar deal! From her expertise in real estate, to her professionalism and flexible schedule, Heather truly is an all around great agent. I would highly recommend her!! My husband and I worked with Heather when we were looking for our first home. We provided a list of what we were looking for with some pretty specific wishes and in just a couple of days she had a huge list of homes for us to look through that fit our wish list perfectly. As it turns out, we fell in love with a home on our first day out with Heather, and it was one she had found for us! She is extremely knowledgeable about homes in the area, and even knew nuances about local utilities, taxes, and things we would need to be aware of as we worked to purchase the home. When we decided to place an offer, there was already an offer submitted by another group. Heather worked very closely with us through the whole process and made sure we were competitive with negotiations, while still getting a good price. After that she helped us through the process of obtaining our mortgage, setting up various inspections, and performing the closing. Her attention to detail and availability made the entire process seamless, which is something invaluable to us as new homebuyers. We couldn't recommend Heather more if you are looking for a home! Buying a home for the first time can be a daunting but Heather really made the process seem less frightening and overwhelming. She was extremely patient and really listened to my list of needs in a house (even if they seemed to contradict each other from day to day at times). She made sure to only suggest houses that were within my price range and target location and if anything was suggested outside of the location she was quick to let me know why she thought it might still be a good fit. She was always quick to respond and made sure to give updates as soon as she heard anything so I was always in the loop. Now that this is over, I'm not planning on moving anytime in the near future but if/when it's time I can guarantee that Heather will be the first person I call! Heather was great! I normally go off of referrals from friends and family, but was randomly matched up with her through Zillow, when I inquired about a listing. I'm definitely glad I decided to go with her. Heather was great right off the bat. She was prompt, knowledgeable, and a great realtor to have on your side. The process can get a little overwhelming, but she stays on task and just puts you at ease. You can tell she knows what she is doing every step of the way and actually cares that you get what you are looking for. All things considering, she made a very involved process a breeze. With her, the hardest part is signing all the papers! I would definitely recommend her! Heather was fantastic to work with! She is an extremely hard working individual. She listened to all of our needs and gave us plenty of options during the search and very knowledgable. Any question I had was answered promptly throughout the process. I would recommend her to anyone searching for a new home! Heather was great!! She went above and beyond in every way. Our home buying/selling experience went without a hitch and that is 100 percent due to Heather. I would recommend her to anybody. Buying a home with Heather was one of the most comfortable and care-free experiences I have ever experienced. She covered everything that could possibly surprise us (which is very important when dealing with something like real estate). Highly recommend Heather. Our experience with Heather.......if we had to use one word, it would be Exceptional!!! From the very first day of contact with Heather has been one of the best experiences of our lives, we we first discussed purchasing a home, plenty of emotions came with that conversation, the biggest emotion we had was "Fear," listening to colleagues, family, friends and their experiences, well, leaving Heather on the very First day, (being as though we had 600 questions), a lot of that silly fear was gone, on our second meeting, our respect level was elevated to "extremely high!! ", her professionalism, patience and complete knowledge was so refreshing and reassuring for us, soooo long story short, we had to go to our family & friends that had bad experiences, and let them know "you all picked the wrong agent" we most likely will thank Heather for the rest of lives while we are living and loving our New Home. As first time homebuyers we were lucky to have the expertise Heather provided during our purchasing process. Heather was able to take our list of wants as well as our broad range of locations and find us the perfect location for our first home. I would recommend Heather's services for first time homebuyers or anyone who is not familiar with the home buying process. We could have not asked for a better experience than what we received from Heather. She was knowledgeable, committed, and gained our trust right from the start. With a new baby on the way, she made sure this process was as smooth as possible and made herself available every step of way. Thank you Heather for getting us into our first home for our new family! Heather helped me and guided me through the entire process of selling my home! With the little time I had to prepare and how fast I wanted to be out and move into the next step in my future... She not only made it possible by selling in just under 2weeks but she never gave me any bs about the market, was always there for any thing I needed! And she priced my house to SELL!!! And it sure did! For only 1000 under my asking price! I believe that was one of the main key into why it sold so fast! (And we were not trying to be greedy about money!) needless to say she was amazing and I don't think I could have had a better agent! I highly recommend her to anyone buying or selling! And I will definitely be using her when we decide to buy or sell again! She was very professional, honest, quick to respond to anything and was on top of it all. She was friendly and outgoing with me which was nice because it made me feel as if i was working with a friend, and in the end it became just that, i gained a friend! Thank you so much for everything you will never know how much we appreciate it! I got a job offer in a new city, and wanted to sell my house quickly. During such a pressing transition, a great realor is required. Heather was that realtor. She proactively assed issues and informed me of the facts instead of wasting my time with the details. I always felt part of the selling strategy. At the end of the day, the deal she negotiated for was more than expected. Heather Kaczorowski is very spirited, professional and really loves her job. Every phone call and text I sent was immediately returned. She seemed very knowledgeable in the areas I questioned her about. Heather is very excited but not pushy at all. I highly (and already have) recommend her!! My boyfriend and I were looking to be first time homeowners on a deadline closely approaching. Heather helped us determine what area of the city would make most sense for us based on the criteria we provided and also helped us to scour the market for the best investment. We had a very unpleasant and unprofessional experience with an agent from Howard Hanna and Heather entirely turned our experience around. She was encouraging, knowledgable, committed to our process, patient, and always responsive when we had questions/concerns. It truly felt like a team effort and I would highly recommend Heather to guide anyone through this journey. Thanks for making us proud home owners, Heather!! Our experience of selling our home with Heather was great.From start to finish Heather was always in contact with us, either in person or by phone explaining the process. She explained every detail to us. She was always there for us. She made the entire process go very smoothly, We would highly recommend Heather. Heather is an incredibly knowledgeable and profession real estate agent! She took care of every little detail and made the whole home buying process stress-free!!! I will highly recommend her to my family and friends looking to buy or sell a home!! !